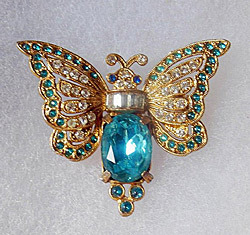 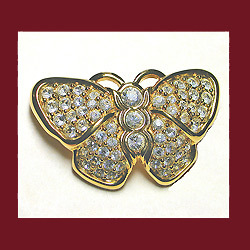 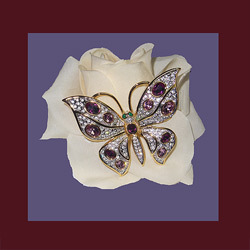 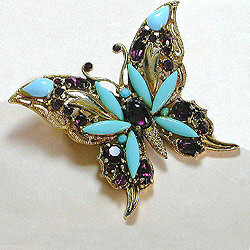 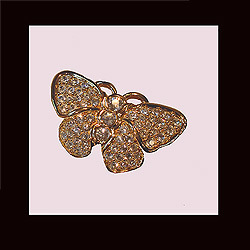 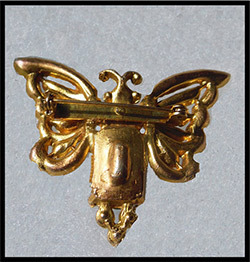 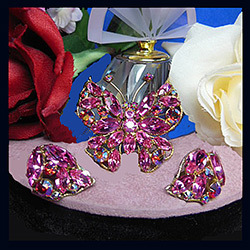 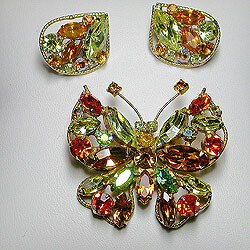 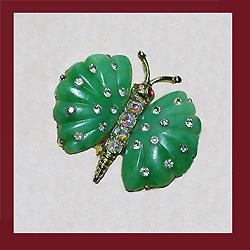 Butterflies have been a favorite motif in the fields of jewelry making and art since the ancient Egyptians. 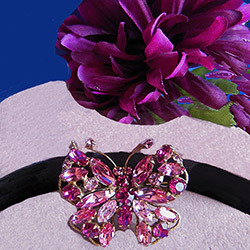 Throughout history their images have stood the test of time and have been worn as adornments symbolizing the soul as well as freedom, joy, happiness and transformation. 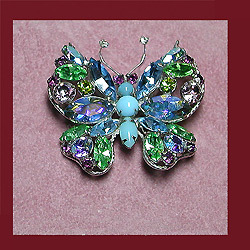 Colorful wings sparkle with life as they flutter and dance on the woman adorned with a brooch depicting this magical creature. 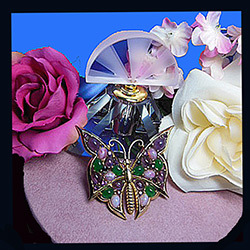 Believed to bring good luck if one lands on you, just select a butterfly of your choice to wear as a brooch and you�ll have one that never flies away!